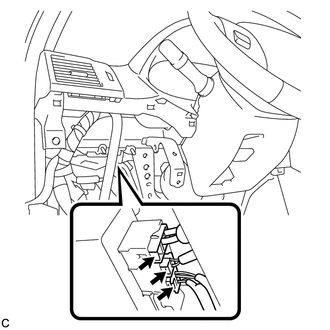 (a) Engage the 4 wire harness clamps to the power steering ECU assembly. 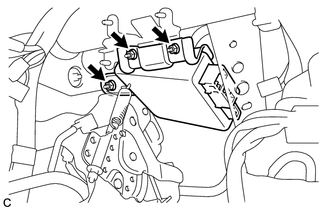 (b) Install the power steering ECU assembly with the 3 nuts. 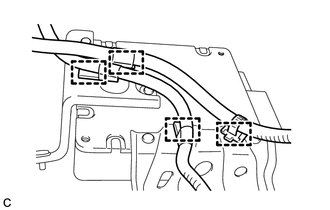 (c) Securely connect the connector to the power steering ECU assembly. 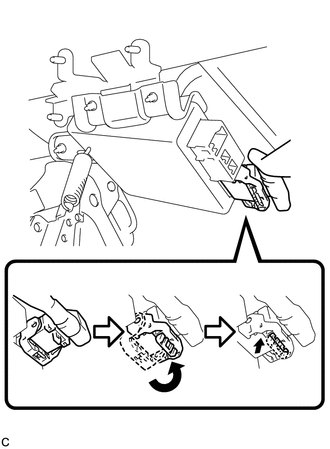 Return the lock lever to its original position to connect the connector, and then securely push in the lock of the lock lever as shown in the illustration . (d) Connect the 3 connectors to the power steering ECU assembly. (a) Engage the 2 claws to install the driver side junction block assembly. (b) Connect the connectors to the back of the driver side junction block assembly. (c) Install the driver side junction block assembly with the 3 nuts. (d) Connect the connectors to the driver side junction block assembly. 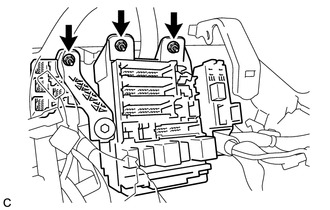 Refer to the instructions for Installation of the knee airbag assembly (See page ). 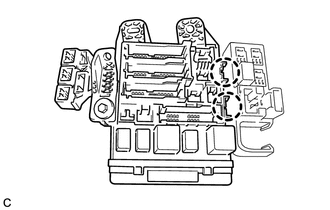 (a) If replacing the power steering ECU assembly, clear the rotation angle sensor calibration value, initialize the rotation angle sensor, and calibrate the torque sensor zero point (See page ).